Having spent a lot of time recently analyzing the travels of Curiosity in Gale Crater and in the foothills to Mount Sharp, I decided this week that I also needed to do the same with Opportunity at Endeavour Crater. The image above is a panorama that I have assembled from images taken by Opportunity’s navigation camera on Sol 4477 (sometime last week). 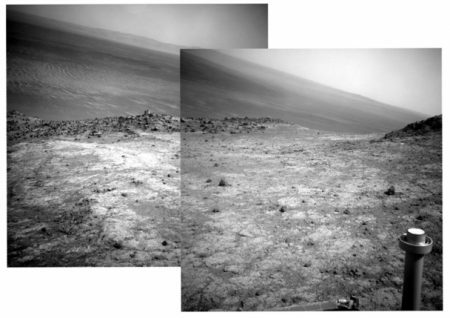 To the right is a panorama assembled from images taken by the navigation camera several days later, on Sol 4481, after Opportunity had moved closer to the gap shown in the first picture above. The inset in the image above shows the location of the image on the right. 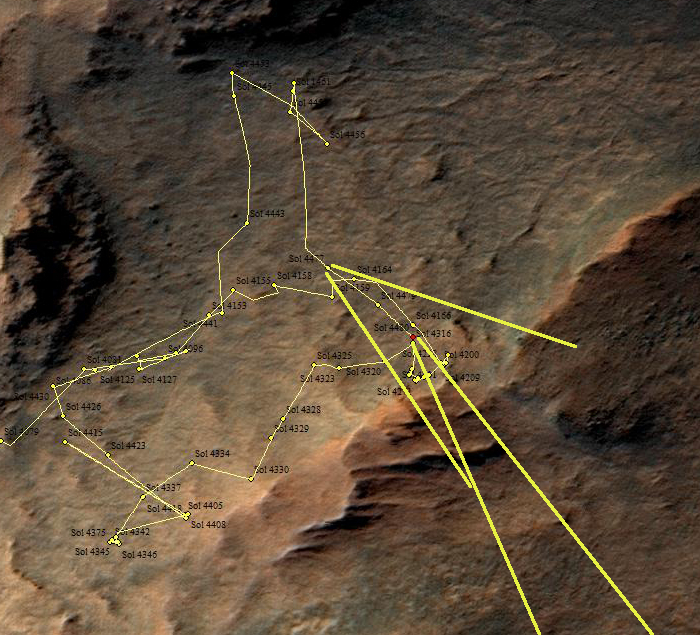 The X shows Opportunity’s approximate position. 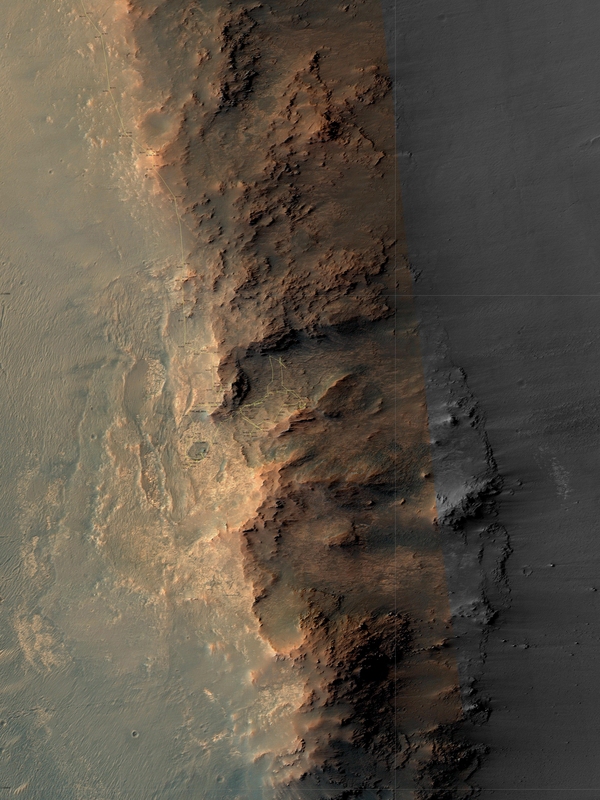 Below the fold is the most recent orbital mosiac showing Opportunity’s recent travels near Endearvour Crater and in Marathon Valley, cropped and annotated by me to indicate the areas seen by the two panoramas above. The red dot shows Opportunity’s present position. Back in June, the science team had announced that they were wrapping up operations in Marathon Valley and would head out west to explore the outside edge of Endeavour Crater’s rim to the south. 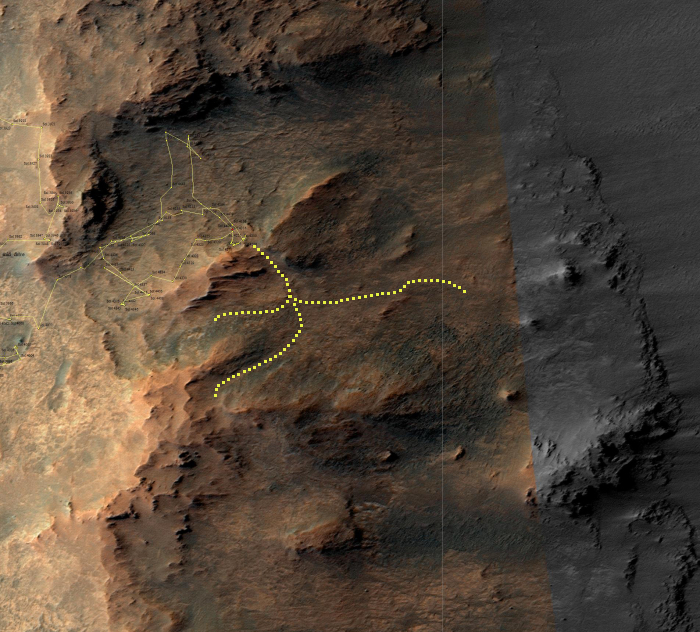 At the time the rover was located in the southernmost position shown on the overhead image above, indicated by the rover’s location from Sols 4337 to 4375. At that time Opportunity was practically out of Marathon Valley, at its western outlet. They could have begun exploring the outside edge of the crater’s rim almost immediately. Like kids in a toy store, we’ve been dragging our feet in leaving Marathon Valley because we keep on finding interesting things. …We’ve spent some extra sols examining some “grooves” which were just below the resolution of [Mars Reconnaissance Orbiter] HiRISE imagery. We wanted to make sure to fully document these things in [the rover’s] Pancam imagery to try to get a better idea of how they formed. We will be exiting Marathon Valley soon though through a pass to the south which we’ve dubbed “Lewis & Clark Gap” and moving on to interesting things further to the south… somewhat on the in-board part of the Endeavour rim, but not into the crater floor per se… at least not yet. My first image above is centered on Lewis & Clark Gap. In other words, instead of leaving and exploring the outside of the crater rim, they are going south to explore the interior of the crater’s rim. Below is a wider overhead image, showing the terrain ahead with several potential routes indicated by me. The terrain here is going to get very rough but much more interesting, almost as interesting as the terrain that Curiosity is seeing in the foothills of Mt Sharp. What is even more significant about this is that they are going to be exploring in detail the geology of a big crater rim, from the inside. This has essentially never been done before. We have studied a lot of lunar craters, but I don’t think any Apollo astronaut or lunar or Martian rover has ever traveled or explored this type of terrain. The geological information will thus be unprecedented, and quite revealing. 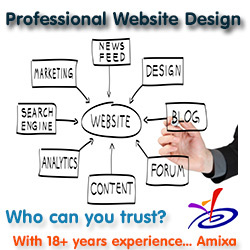 As will be the images. Expect to see a lot of very cool images coming from Opportunity in the coming months, as it completes its twelfth year of operation (only slightly longer than than the three months of surface operations they originally expected). Too bad they can’t get better resolution aerial photography than orbital imagery. Perhaps future robotic rovers will have an aerial component. Some type of tethered dirigible? It will be interesting to see where good old Opportunity goes in the furture. Whether it is sto stuck around and explore the crater interior or venture out and trek to parts unknown, either option still has this wonderful machine continuing to provide useful science, hopefully for years to come.